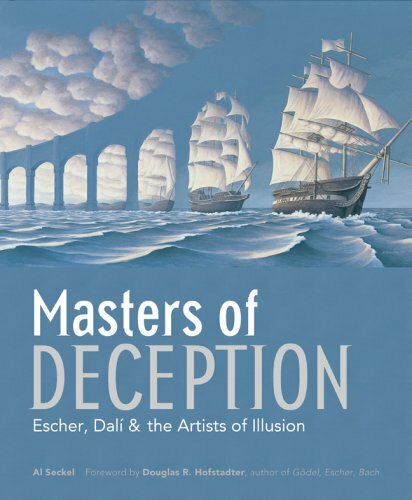 This book is a delightful treat to anyone who loves optical illusion. In researching and presenting optical illusions to wide audiences, I have found that their effect on people is very primal. It does not matter how old they are, how artistic they are, how intelligent they are, what their background or culture is; people just love optical illusions and enjoy being deceived in a delightful and surprising way. He has done a terrific job at research on the subject, collecting over hundreds of paintings all the way back from the 16th century. Many of the optical illusions found on the Internet are just extensions or interpretation of these masterpieces. There are 20 artists featured in the book. Every one comes with a well written introduction and a gallery of their best work. While the book can't print all the art work for each artist, it has packed enough to entertain for hours. Each is also captioned to explain the idea and inspiration behind. There's an incredible array of artistic style used in creating optical illusions. There's Escher who plays with perspective, Shigeo Fukuda who works with light and shadow and many more. This is a very entertaining book.